Palestinian President Mahmoud Abbas has concluded his visit to Beijing, calling it a great success. In a news conference on Monday night, Abbas said Palestine agrees with President Xi Jinping's four point proposal on the Middle East peace process. 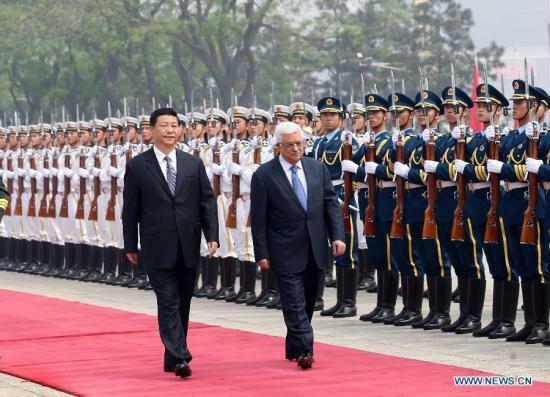 Abbas has briefed President Xi Jinping about the latest developments in the Palestine-Israel relationship. Abbas said he would not meet Israeli Prime Minister Benjamin Netanyahu during his stay in China, and he asked China to pass on Palestine's stance to Israel. The Palestinian President said that he appreciates China's objective stance on the Palestine issue, and expects China to continue playing an important role. Abbas said he and President Xi Jinping also discussed ways to increase China's investment to Palestine, and develop more economic cooperation, especially in clean energy.